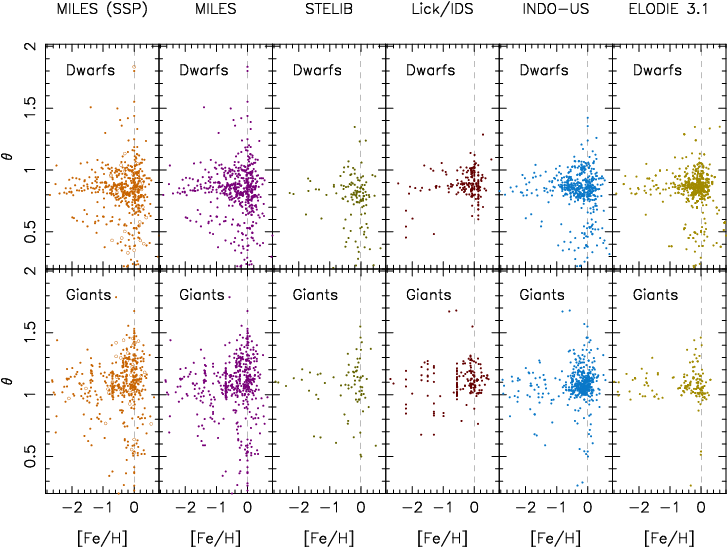 Atmospheric parameters for the library stars are presented in the Paper II of the MILES and CaT series (see Cenarro et al. 2007). The image below illustrates the parameter coverage of the MILES library and SSP models, and the comparison with other widely used libraries.